If you've been following our work on Instagram, you may have seen our feature last week in Green Wedding Shoes! 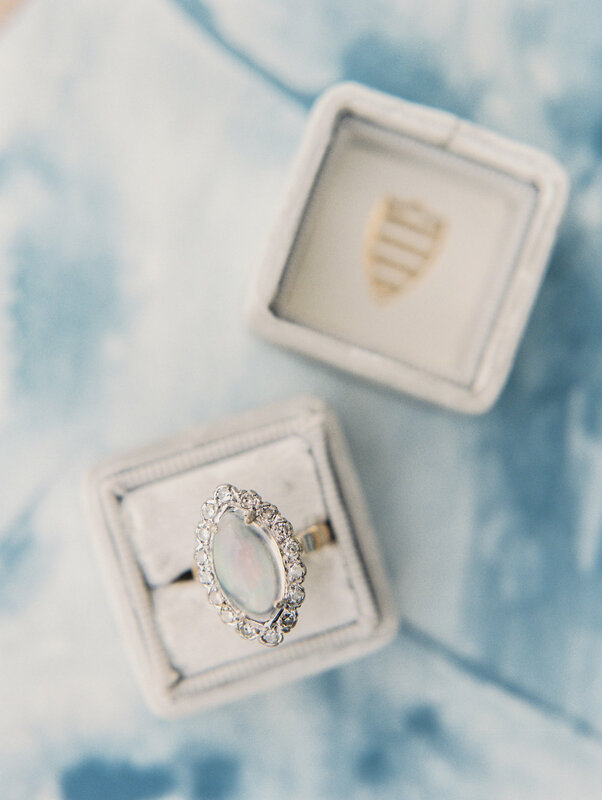 I am so proud and excited to share this styled shoot with you today - including a few photos not seen on GWS! 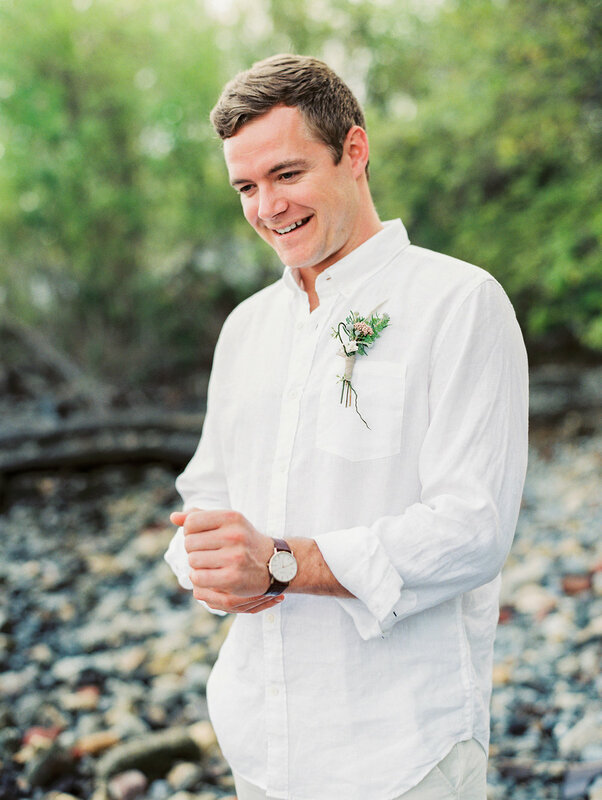 GWS was one of the first wedding blogs I fell in love with, and is the authority on modern, bohemian-style weddings. It's been a dream of mine to be featured there since I started East Made! To see our full Green Wedding Shoes feature, click here! 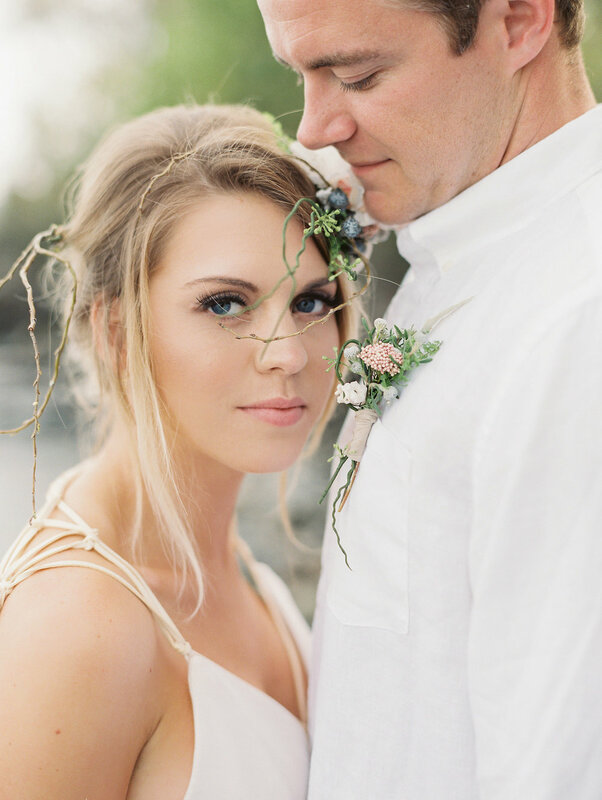 This summery shoot was a dream to style and create. Inspired by the Pantone colors of the year, Rose Quartz and Serenity, I chose a dusty blue palette with pops of pink and styled a beach lounge area at North Point State Park, outside of Baltimore, Maryland. North Point has a gorgeous pebbled beach with slate grey, almost blue rocks, and was an ideal destination to feature the blue "Oceane" gown by Carol Hannah Bridal. 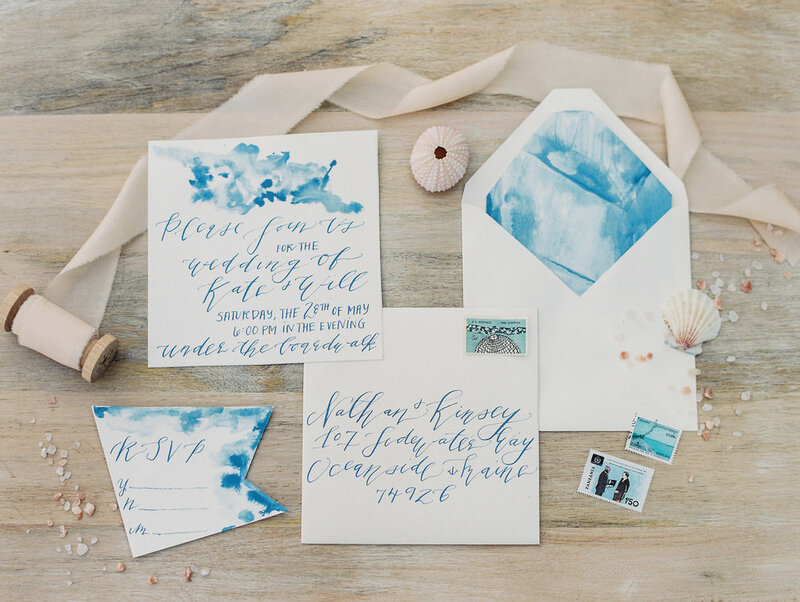 I wanted this shoot to be light, airy, and happy - the ideal qualities of a beach wedding. 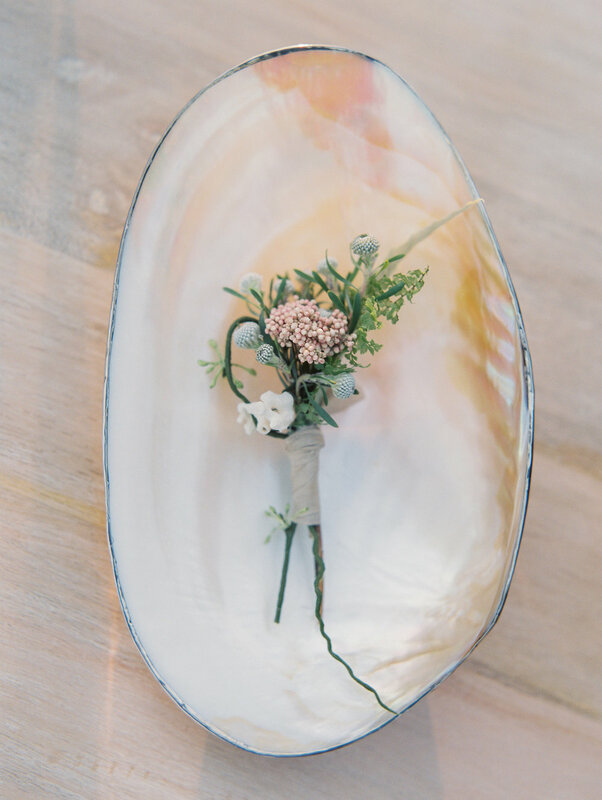 The amazing Caitlin from CJK Visuals captured these images in film to fully encompass the ethereal feel and didn't leave out any detail or angle! 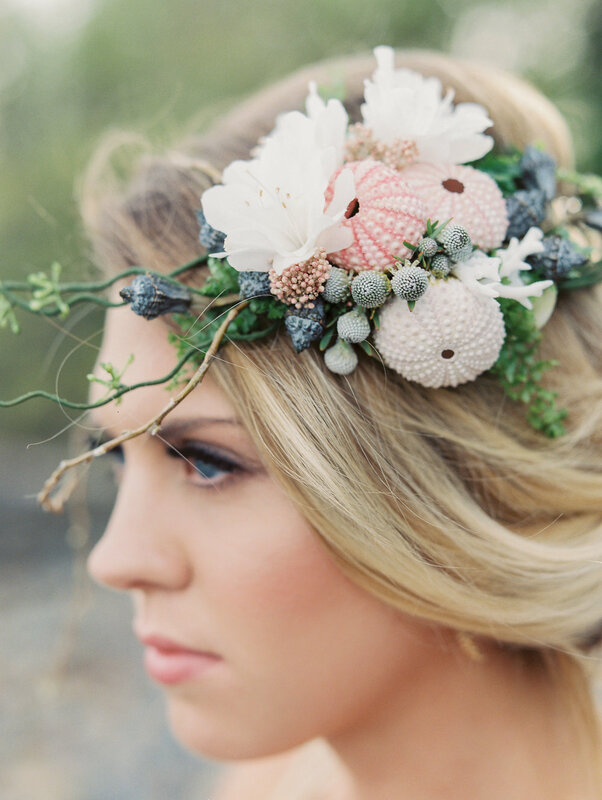 Scroll down to see the full list of incredible wedding vendors who collaborated on this shoot!